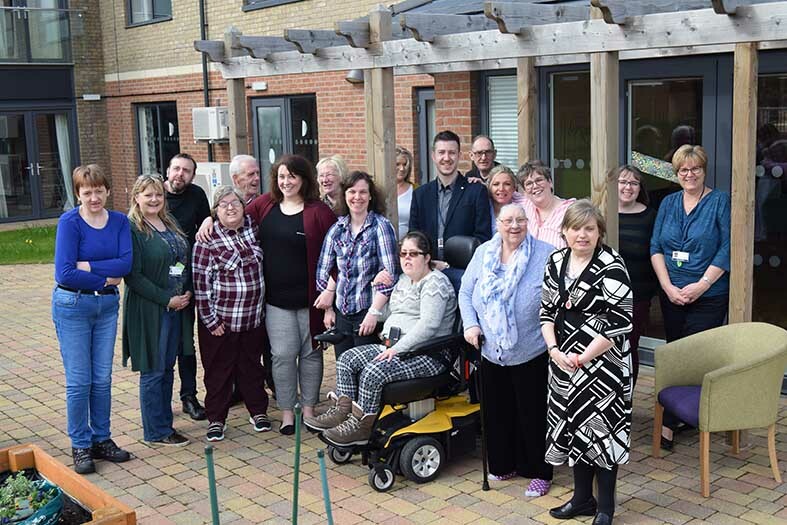 Customers, their families and friends, staff and others gathered to celebrate the second anniversary of the opening of the Hampton Mews supported living scheme in Kidderminster. At the party there was a great cake (pictured) and at the end of the party everyone got together to sing happy birthday. Victoria Baker (Team Lead) said, "Hampton Mews has been open for two years now and it was great for everyone to get together as we did last year to celebrate our birthday. Staff and customers really love being here and it was great to see so many friends, family and others join us to celebrate our birthday. "